CrackBerry is here to provide help and how-to information from simple tasks on your Priv by BlackBerry device to the advanced. We can walk you through the baby steps of how to set up your e-mail, how to back up your device, and much more. 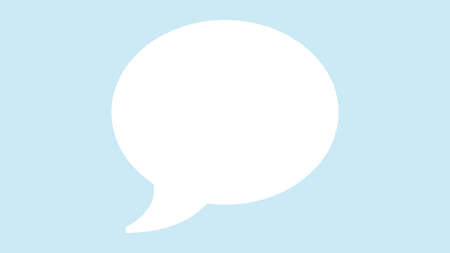 Be sure to visit our helpful community forums for additional support and ensure you get the most out of your Priv by BlackBerry. Now that the BlackBerry Keyboard app for Priv has reached version 2.0, one of the standout features has been the new swipe to type option. It's a feature already available through other keyboard apps on Android and but it's a welcome feature to the BlackBerry Keyboard for the Priv, over and above the usual flick typing that BlackBerry users love. BlackBerry 10 didn't give us many options in terms of themes and visual customization as we got with BlackBerry OS. If you've moved to the BlackBerry Priv, you should know that Android has plenty of icon packs and launchers you can try out to give your Priv the look you want. I thought the Droid Turbo 2 had an 810, the 3 had the 820, no? The BlackBerry Priv has support for Wi-Fi calling, which means that you can make and receive calls over Wi-Fi, even if you have limited or no mobile network coverage. If you're lucky enough to be with a carrier that supports Wi-Fi calling, this tutorial is for you. We'll help to get you going. Losing your phone is not really a situation you want to be in but it is something that can happen. If you do find yourself in such a situation you can use Android Device Manager to remotely locate, secure or factory reset your Priv. Let's help you make sure your phone is set up for any eventuality. 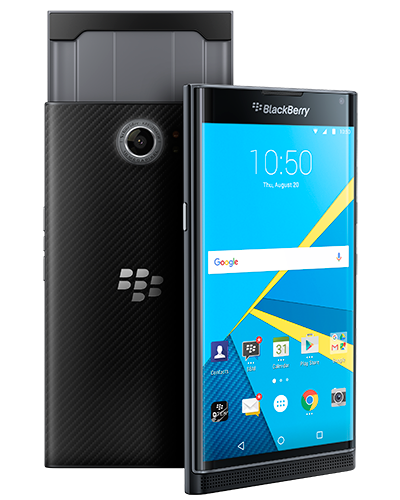 As you know the BlackBerry Priv comes pre-installed with a handful of BlackBerry apps. Some people are loving the apps, such as the Hub while others would rather not use it. You'll be happy to know that you can disable the apps. Ready to take videos on your BlackBerry Priv? If you didn't know it already, the Priv does 4K video recording but of course other video shooting modes are available too. Here's a quick tutorial on changing the video settings on your Priv. One of the great things about the BlackBerry 10 keyboard is that it supports a multi-language setup to automatically switch between languages while typing. Earlier versions of the BlackBerry keyboard app for the Priv did not allow multi-language support. It does now and here's how to set it up. BlackBerry has now added another app to their growing list of Android offerings and this time around, it's one that will be familiar to some BlackBerry users. The BlackBerry Virtual Expert, which lets you run various diagnostics on your device to test everything from the display to speakers to the keyboard, has now arrived on the Google Play Store for Priv owners. DTEK security accurate for PRIV? Yes. October 2017 is up to date.Looks like 2017 security is good enough! When the BlackBerry Priv launched, there was a lot of ruckus over the fact that there was no native File Manager. We were kind of spoiled on BlackBerry 10 with one built-in that also allowed us to connect to popular cloud storage services. Here's a few we've rounded up for you to help you decide. Get a new BlackBerry for the holidays? We're here to help! I think this phone the PRIV pretty much a collectors item. Yeah I love qwerty keyboards on smartphones are lovely. And planning on getting the newer devices and hopefully they work well too. Just like the physical keyboard on the BlackBerry Passport, the BlackBerry Priv keyboard is also touch-enabled allowing for keyboard gestures to be used. It truly is an innovative addition to the keyboard experience but should you wish to disable the keyboard gestures, that's entirely possible as well. Here's how you can enable or disable them. Whether you use your Priv for work or personal reasons, the process to add a message to the bottom of your emails, such your business card information or even show off which device you own, is quite simple. Read on for a quick guide on how to input this information into each email account activated in the BlackBerry Hub. If you missed out on the 'What Enterprises and Developers Need to Know about Priv' webcast that took place on November 17, you can now watch the replay at your leisure. The webcast was aimed at developers and those who work for enterprise companies detailing what enterprises and developers need to know about the Priv by BlackBerry. Time to move on from the Priv??? I switched from PRIV to Key2. The screen size and perceived lower quality does not work affect my experience in any way.